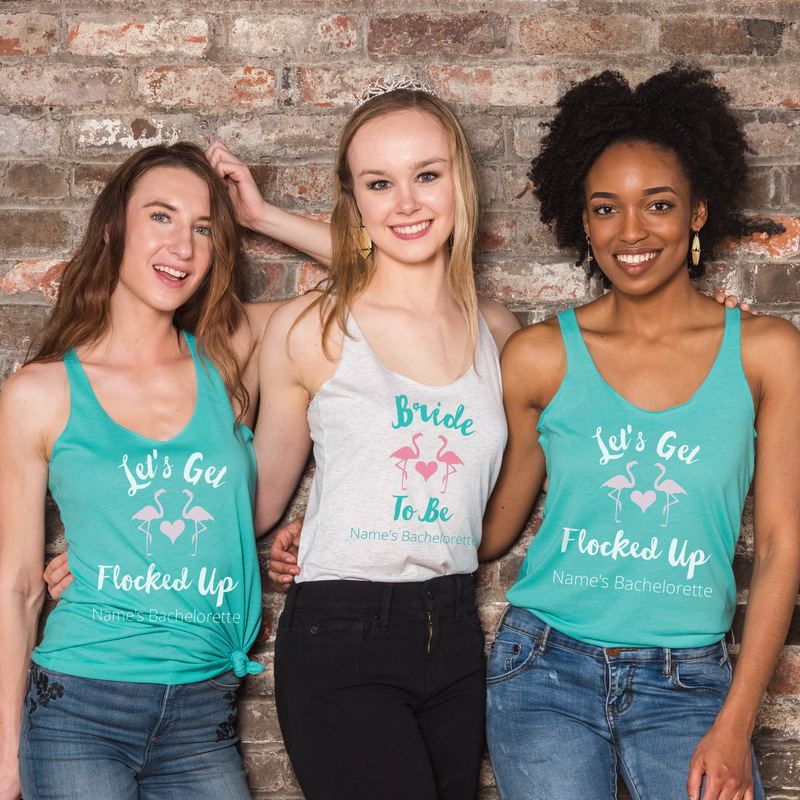 Birds of a feather flock together and there’s no better way to show that your flock is number one than with flamingo bachelorette party shirts! Vibrant, fresh and totally playful, the flamingo explosion has already found its way into everything, A flamingo-themed bachelorette party can be celebrated in many ways, from pool floats to all kinds of glittery, feathery flamingo-decorated accessories. The best part of this the theme is that it is perfect for a summer beachy bridal shower, Miami or Key West bachelorette. This trend is so hot right now that it’s really no surprise that your flamingo-loving bestie is ready to make this the theme of her bridal shower or bachelorette weekend. 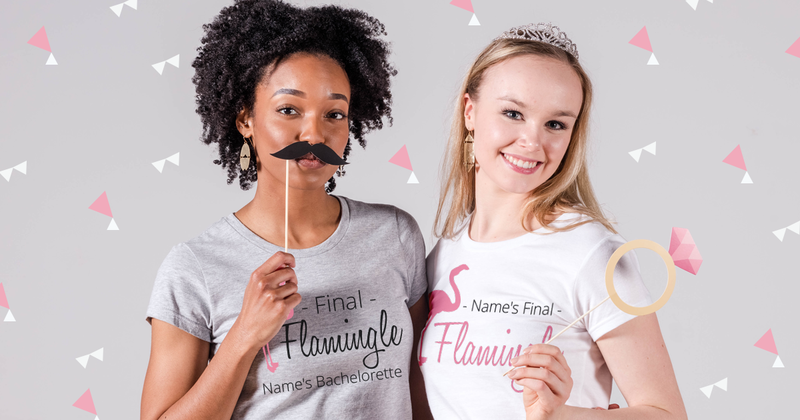 The flamingo theme provides endless opportunities for introducing original items, decorations and accessories that will turn the bachelorette party into a great success and ensure that everybody has lots of fun but what really sets the tone is cute and festive matching flamingo bachelorette party shirts for the entire bridal party. What’s your favorite flamingo bachelorette saying? Let us know or share your pictures with us via Facebook, Twitter, or Instagram@bridalpartytees!